The capabilities of countercurrent chromatography (CCC) in the elemental analysis of samples with different chemical and phase compositions are demonstrated. The combination of the characteristic features of extraction chromatography and multistage extraction with separation and preconcentration processes performed in a closed system (a Teflon coiled column) opens up prospects for applying this method to the analysis of a wide range of materials from high-purity substances to oil and rocks. 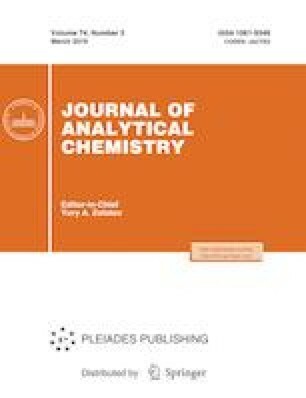 The use of CCC at the stage of sample preparation makes it possible to decrease the detection limits of impurity elements in high-purity materials to a pg/g level, i.e., by two or three orders of magnitude, as compared with those in the direct determination by inductively coupled plasma mass spectrometry. In the analysis of oil samples, CCC allows one to determine their complete trace element composition (including platinum group, rare, and rare earth elements) due to the concentration of trace elements in a small volume of a stationary aqueous phase retained in the column.